He was born in London and attended Great Ealing School, where it was said he ” …took no part in the casual school games”. 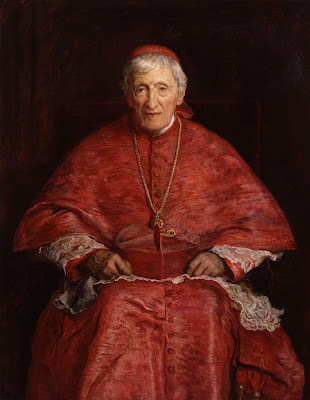 At the age of 15, during his last year at school, Newman was converted, an incident of which he said he was "more certain than that I have hands or feet". Although Newman looked back on his conversion as the saving of his soul he was drawn to the high-church tradition. After attending Oxford University he was ordained priest in the Church of England, became a leader of the Oxford Movement, taught at Oxford, and was later ordained a Roman Catholic priest.